today I’m delighted to share with you another interview with a YA author! Meet William Ritter, author of JACKABY and upcoming BEASTLY BONES. I’ve loved writing stories as long as I can remember. I wrote little mini-books about superheroes in elementary school and drew comics for my middle-school newspaper. I wrote stories for fun and to entertain my wife and family, not because I ever thought anything would come of it. Jackaby sort of decided it wanted to be a proper novel without my planning it. I am a teacher during the school year, so I write weekends and evenings, and of course during the summer. I have a nice little writing desk at home where I get a lot of work done, but I sometimes occupy a quiet corner of the library or a local bookstore when I need to really buckle down and concentrate. Motivation is easy to lose, so when you want to write for profit, write for pleasure. Seriously. If you write by thinking rationally about what the market is looking for and how to maximize the appeal of your product based on industry data blah blah blah… then you will create for yourself a hard job that you hate. That’s not why you’re writing. You could become an accountant for that. Instead, design for yourself the kind of book you really want to read—have fun with it and fall in love with your own characters. That sort of passion carries into the prose AND it ensures that when you don’t get that big contract you were hoping for—or when you DO and it leads to even more hard work—you’re still enjoying yourself. To write JACKABY, where did you get your inspiration from? Life—mine and other people’s. Fiction. Facts. The stuff in-between. Books. Classes I’ve taken and classes I’ve taught. My inspiration for writing tends to come from everything and everyone I’ve ever known. When that fails, I make stuff up. Your book is pitched as Doctor Who meets Sherlock Holmes, were they really an inspiration for you? Yes, in that I was inspired by all of the many stories and characters that I love, but otherwise no, not directly. The Doctor and Sherlock Holmes are very similar characters already, eccentric outsiders who lead their companions into wild adventures—an apt description for Jackaby as well—but I found my way to that archetype on my own, not because I was trying to play to any established fanbases or emulate any particular series. 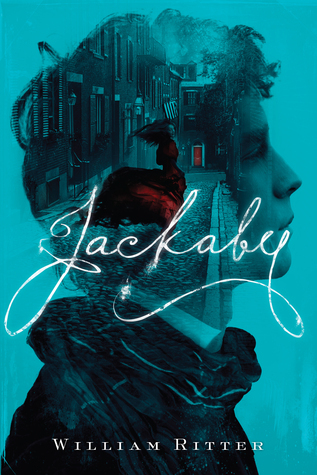 I designed Jackaby as an excuse to tell stories about folklore and mythology and gave him an lifestyle that allowed me to build those stories around madcap capers and magical mysteries. Your book is a Historical Fantasy: how did you find the right balance between historical facts and the fantasy aspects of the story? Toward the start, I eased into the fantastical elements gradually to give the narrator—and thereby the reader—time to adjust, but overall, it’s an easy balance. The fantasy in Jackaby is almost entirely taken from existing world folklore. I teach Mythology classes, and I always open by establishing clearly that we are not studying fiction and we are not studying facts. Myths are sacred narratives in their own category. That’s the same approach I take when I pick elements for my own stories. The research involved in finding interesting creatures or magical charms feels very much like the research involved in finding period accurate clothing or atmospheric architecture. I am in revision for the third book in the Jackaby series and already poking at my collected notes for book four. Every book has grown differently, so I feel as though I’m learning how to write all over again each time. It’s a lot of work, but also tremendous fun. I count myself extremely lucky to be given the chance to do what I do. So many. My standby favorite authors are PG Wodehouse, Neil Gaiman, and Terry Pratchett. If you’re looking for something in the historical fantasy genre, I can wholeheartedly recommend The Night Circus by Erin Morgenstern, The Golem and the Jinni by Helen Wecker, Diviners by Libba Bray, and Ms. Peregrine’s Home for Peculiar Children by Ransom Riggs. All great reads. Thank you for a great interview, William! Thanks so much for having me on your Writer in the Spotlight segment—happy reading! 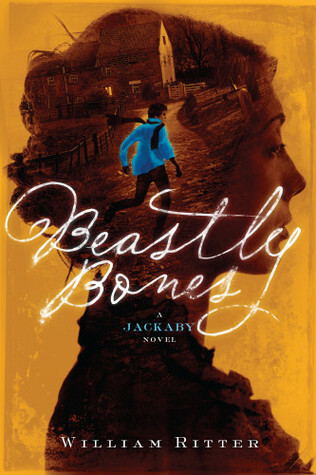 You can add Jackaby and Beastly Bones on Goodreads here. This entry was posted in A writer in the spotlight and tagged Beastly Bones, Jackaby, William Ritter, YA Historical Fantasy, YA writer's interview.